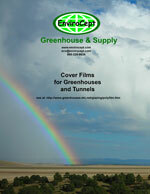 and 1 year Overwinter greenhouse films. All available now for Cut-to-Size direct delivery. greenhouse film, shade cloth and curtain installations. 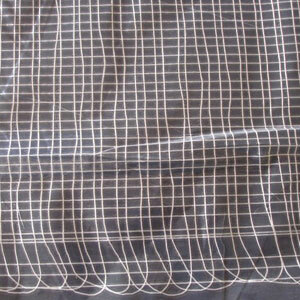 Makes greenhouse film, shade cloth and curtain installation fast and easy. Holds material up to 20 mil. Creates a professional, finished appearance. Available in 8 ft. lengths. 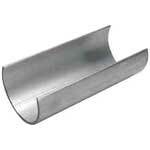 Easily mounts to all wood or steel structures. 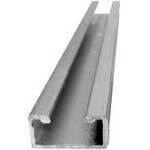 Includes .083 Stainless Steel Spring 8 ft. long for securing material. Extend the life of your greenhouse covering! 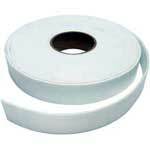 Run this one-sided adhesive felt tape along your greenhouse rafters to reduce wearing and chafing of your greenhouse covering. Prevents film degrading as film does not rub against pipe. 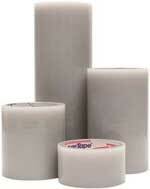 Comes in easy-to-use 1.5" x 40' rolls. has excellent resistance to moisture, acids, chemicals, alkalis, oils, abrasion, and weathering. 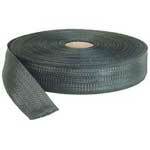 Primarily used for splicing polyethylene film. Also ideal as a weather seal for applying plastic storm windows, door jams, and window casings in low temperature environments. 6 mil, high-sheer, UV-resistant acrylic adhesive with excellent holding properties and cold stick. Excellent moisture barrier. Conforms well to irregular surfaces. 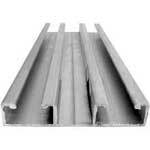 2-1-1/2" wide for fastening and reinforcing poly film in all greenhouse applications. Ideal as anti-billowing curtain retaining strapping. Flexible and easy to use means a quick fastening method. Weather resistant. Will not crack in cold weather. Available in either black or white, contributing to a neat and attractive appearance. 300 ft. per roll. Fastening is quick and easy using nails or staples. � Designed for use with our greenhouse covering. � Eliminates condensation between film layers and reduces heat loss. � Complete kit includes blower, exhaust air deflector and mounting bracket, inlet air hose, air inlet damper/air regulator. 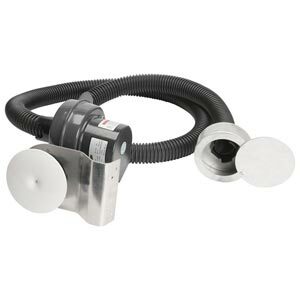 � The inlet hose may be cut to fit any desired installation length. � Includes a 6' hose. 48" Jumper Hose sold separately. compared to "1 year" and "2 year" films. Lower greenhouse temperature with FVG 4HL 4 Year Film, which reflects solar heat away while reducing the sun's harsh ultra-violet rays. Use anywhere cooling is a priority, particularly over Garden Centers, Orchid Houses or Poly-covered Livestock Houses. Sun Saver IR/AC triple layer films have been engineered to provide excellent clarity and light transmission. The triple layer technology combines different additives in separate layers to derive maximum benefit and ensure long product life. Sun Saver IR/AC, excellent for use in colder climates, contains an additive that delays the exit of infrared waves from the greenhouse maintaining a warmer environment and saving energy. This promotes earlier, more rapid plant growth. Designed to last up to four years, Sun Saver IR/AC contains Anti-Fog control additives that help reduce condensation droplets, by causing moisture to flow down in a sheet to the sides of the greenhouse, instead of dripping onto the plants. This results in better light transmission, healthier plants and reduced disease. Recommended for: flowers (except red roses) and vegetables. Economical PolyFilms for every overwintering and nursery application are available in a variety of mil thicknesses with UV protection from 8 month to 4 years. for four years (according to conditions of warranty).